We are an independent pharmacy and have been serving the needs of our customers for the past 25 years. We opened our store as a Medicine Shoppe Pharmacy in April of 1987. 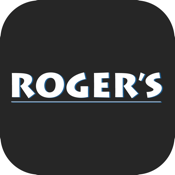 We converted to Roger's Family Pharmacy in 2006. We have 3 full-time pharmacists on staff and we want to make your pharmacy experience as simple and enjoyable as possible.